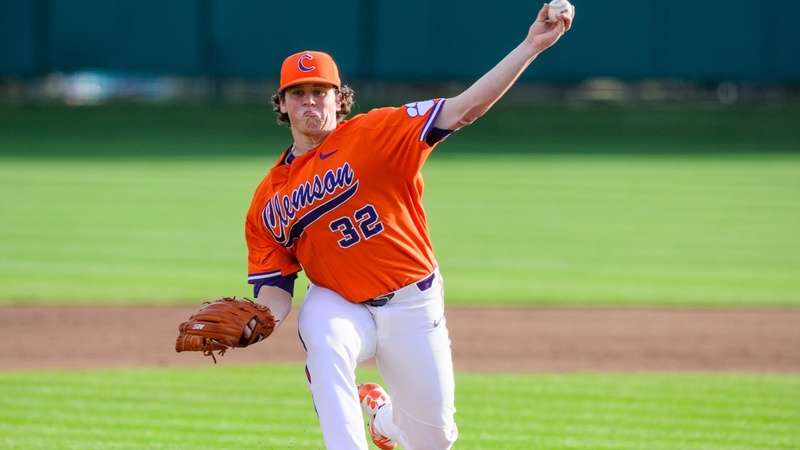 CLEMSON, S.C. - Jacob Hennessy and Brooks Crawford combined to pitch a two-hit shutout in No. 13 Clemson's 2-0 victory over Furman at Doug Kingsmore Stadium on Wednesday night. The Tigers, who won both games of the home-and-home season series, improved to 25-8, while the Paladins dropped to 11-21. It was also Clemson's 21st win in a row over Furman dating to 2009 and the Tigers' first shutout of the year.